← Evolution Of An Ornament. Something Good Came Of It. The earthquake that is. I never thought I’d say it. Our new home has a great big back yard and I could see Andrew measuring up a garden in his mind when we first looked at it. We didn’t have one at our last house – dreadful soil in a new sub-division and no room really for box gardens. But here – the possibilites! So my heart was glad when I found this on Fathers’ Day. Five kids helping to dig up the back lawn and get it ready for spring planting. The following week lettuces, cabbages, broccoli, peas, tomatoes, carrots, parsnips and strawberries were underway, soon to be followed by potatoes, yams, pumpkins and zucchini. And everything grew like crazy. We were eating lettuce leaves within weeks. The carrots and strawberries weren’t far behind. 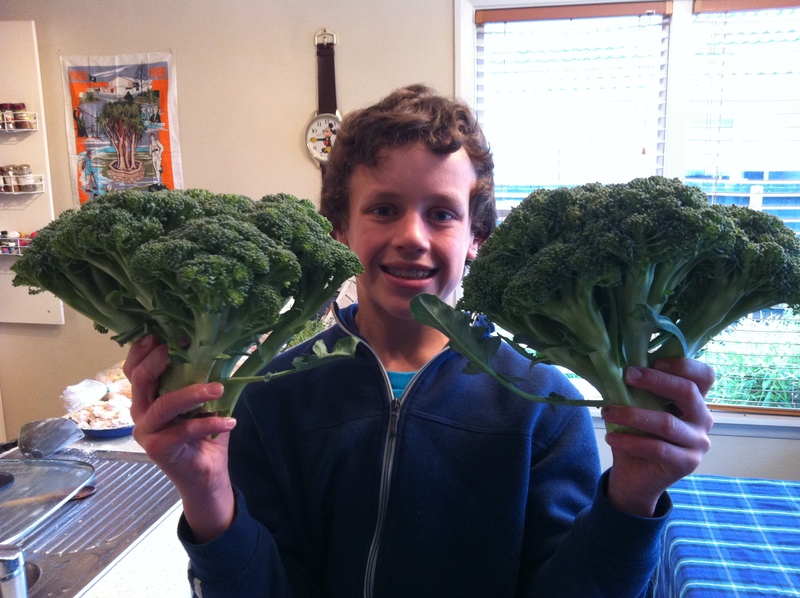 And the stuff he grew in our back yard. The taste is so much better that you would hardly believe it is the same vegetable. It’s colder down here than in the North Island and while most of our crops are about a month behind yours, we are already on our second plantings of broccoli and lettuce. A lot of people think the voracious growth this spring has something to do with liquifaction, a whole pile of extra… stuff… in the gardens. Whatever it is, I’m glad. I love to go out and just look at the garden, green and vibrant and healthy. Something that went very right this year. OMG, look at the size of those heads. What is in the soil down there? The thought of liquefaction is just a little gross!! 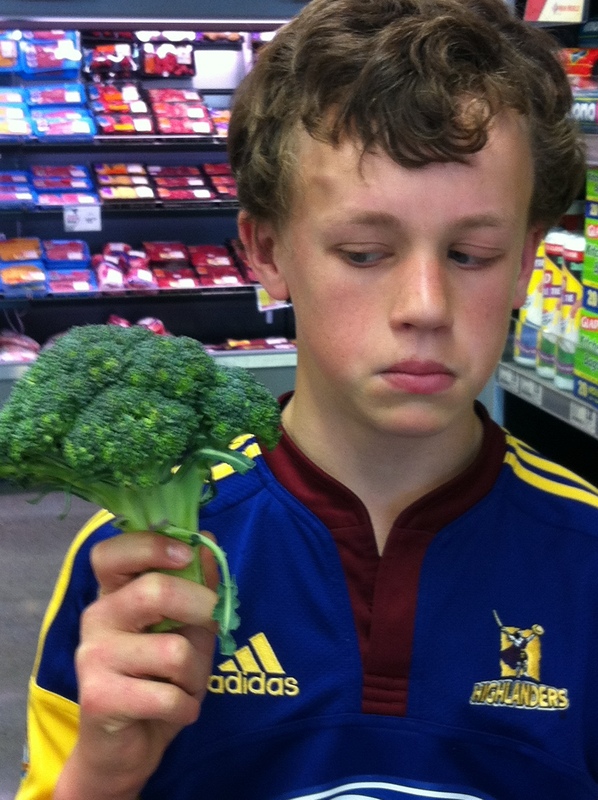 I LOVE broccoli and we eat it every night. My heads never get to that size tho. Paradise Lost · …then wilt thou not be loath To leave this Paradise, but shalt possess A Paradise within thee, happier farr.